The MP-18 was about returning to traditions. With its S18 Wedge, @Golf_Mizuno seeks to evolve a category. 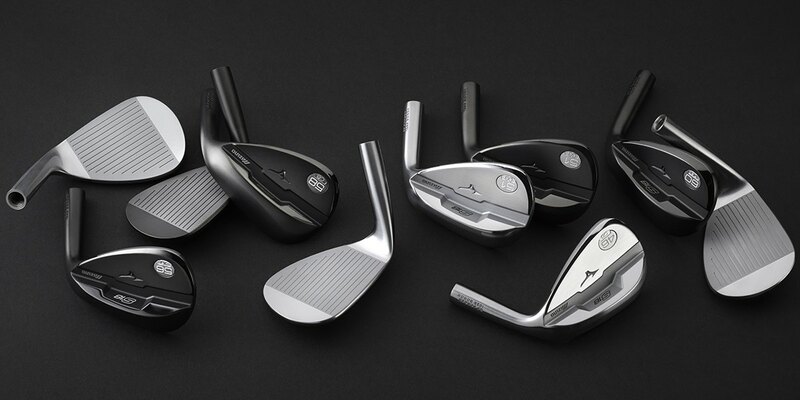 The story of Mizuno’s recently released MP-18 iron family is about returning to traditions. The S18 line doesn’t have nearly the history of the MP, so tradition isn’t much of a concern at this stage of the game. We’re talking about a second-generation product, so there’s not much to go back to; instead, Mizuno is moving forward with the type of year over year – in Mizuno’s case, two-year over two-year iterations we’ve come to expect. Mizuno released the original S (Silhouette) wedge in 2015. While that’s not exactly the distant past, it predates Mizuno’s redefining of the JPX category from game-improvement to technology-driven. At the time, Mizuno had a JPX wedge in the lineup as well as its T and R series wedges, both of which carried the MP prefix. Simply put, Mizuno had traditional wedges in its lineup. It had Game improvement wedges too. The goal for the S line was more or less to split the difference and incorporate the best of both worlds into the design. S was a refined, though slightly oversized wedge with a bit of extra forgiveness built-in. The Silhouette wedge marked the beginning of a new category or sorts. Also of note, as part of Mizuno’s push to own the color, the S5 came in blue. I suppose the S18 makes for a bit of a curious release what’s shaping up to be a defining year for the MP line. 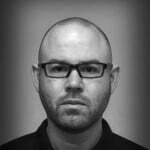 S is not MP – by design, it’s a tweener. 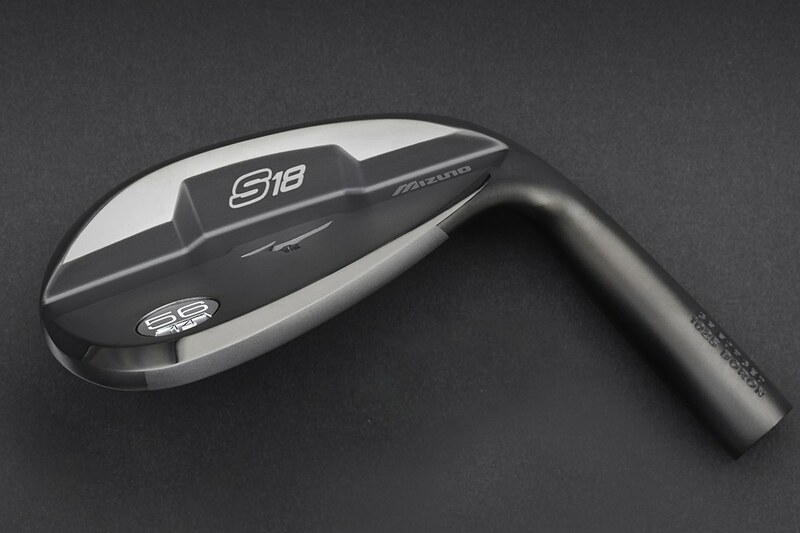 Though more compact than the recent run of game-improvement irons we’ve seen, the S18 shares the aggressive aesthetics of the JPX series. The lines are a mix of crisp and soft, the footprint is noticeably larger than the T7, and that’s especially true along the topline. Beyond aesthetic differences, what you get with the S18 is the next iteration in Mizuno wedge technology. Mizuno’s generations-old T10 brought us loft-specific grooves. The T5 (Mizuno has never been high on numerical order), gave us loft-specific sole grinds. The S6 brought us a new shape – arguably an entirely new wedge category along with a beautiful blue finish. 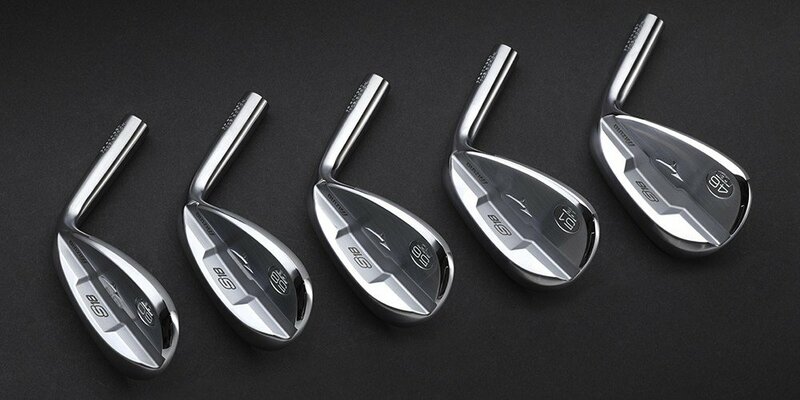 Last season’s T7 introduced loft specific head shapes and 1025 Boron in a wedge. The S18 offers all that and more. This most significant advancement in the S18 lineup is the addition of loft-specific CG placement. Most notably, Vokey is already strategically positioning CG based on the desired performance characteristics of each loft. It’s smart design, so it makes sense others would follow suit. As the loft of wedge increases, the center of gravity location moves higher. The goal is to align the sweet spot with the typical impact position and ultimately produce a more penetrating ball flight with more spin to hold greens. As part of the CG story, the back pad is wider and deeper, and hosel lengths vary. The description perhaps sounds more imposing than it actually is. Mizuno isn’t doing anything radical here; instead, changes to the sole grinds are meant to create more separation between the various loft and bounce combinations. Ultimately that means greater variance in the amount of sole relief between the low, mid, and high bounce options. While wedge fitting is far from an exact science, the general rule of thumb is that players with a steep angle of attack and golfers who play in soft conditions are likely to benefit from higher bounce options, while shallower angle of attack golfers (sweepers) and golfers who play in dry conditions are more likely to benefit from low bounce options. If you happen to be like me – a golfer with a steep angle of attack who plays in dry conditions – Mizuno’s recommendation is to defer to the angle of attack, but keep in mind that bounce is your friend. It probably wouldn’t hurt to get fitted either. Gone, at least for now, is Blue ION-plated finish that debuted with the S5. Replacing it in the line is a new Gunmetal Black ION-plated finish. While the finish should prove to be distinctive in the marketplace, the wear characteristics are similar to the blue. Lefties may again find themselves disappointed as Mizuno is making left-handed wedges in Satin finish only. 1025 Boron, which made its wedge debut with last season’s T7 is now part of the S-Series story. The benefit of Boron in a wedge is its durability. 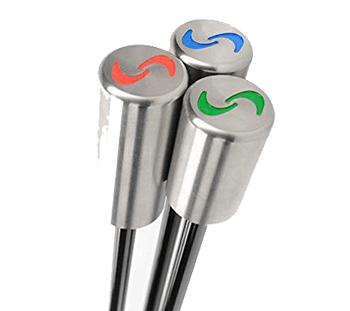 Longer lasting grooves mean you don’t have to replace your wedges as often. Mizuno is listing the number at 30% less wear than 1025E wedges. Bear in mind, that’s not some sort of artificial spin-life measurement; it comes from comparative groove scans of sandblasted wedges 1025E and 1025 Boron wedges while using Luke Donald’s S6 for reference. 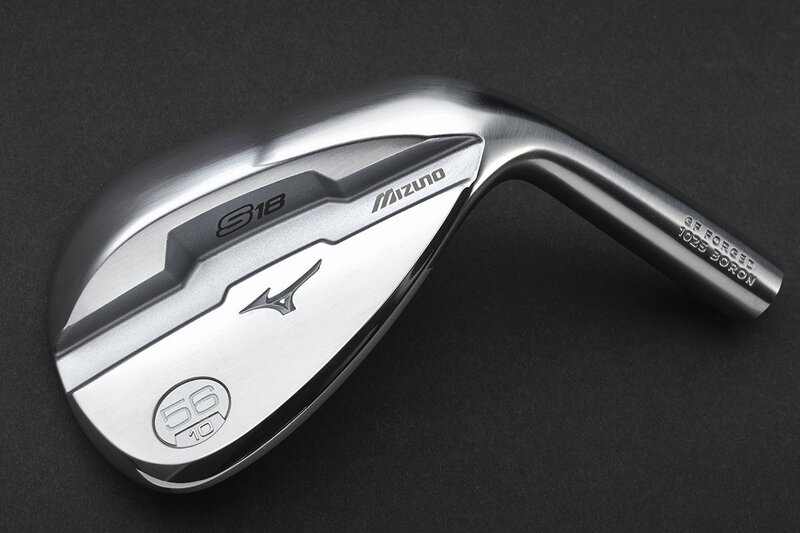 As with other Mizuno wedges, the S18 leverages Mizuno’s loft-optimized Quad Cut Grooves. Part of Mizuno’s offerings since the T10, Quad Cut grooves feature narrower and deeper grooves on stronger lofted clubs (the ones you’re more likely to hit with full swings), and Wider/Shallower grooves on weaker lofts, which provide more spin on partial shots. Use the filters and sliders below to help find the S18 Wedge that’s right for your bag. The retail price of the Mizuno S18 wedge is $149. Availability begins 9/15/17. Just purchased a set of jpx900hot metals played 5 rounds and are the most solid club I have played. Mizuno did it again very nice at set up from five to gap . Thanks for the report on their new wedges look great and will be sure to look at these. Have been wanting to upgrade my wedges. I had got the Mizuno T11s based on your tests years ago. Actually i kind of buy everything after checking on your site. These look very interesting. Might make a good compliment to my JPX 900 Hot Metals. These will be a must try, thanks for best review as always MGS. I just put the S5 wedges I’m my bag this year. I really like them because they are the perfect extension of my jpx 850 forged 5-pw. I have chrome 51 and a blue 56. Top down look of the blue to me is a dull gunmetal look. Doesn’t bother me at all. When pulling out of bag, I can easily tell blue from chrome. Although the curb appeal pics are nice, it sure would be informative to see one of the wedges the way it looks when you’re actually playing it — looking down the shaft at the head. C’mon, Tony. Some of us might actually use the club. Or is the whole point the way it looks in the bag . . . ? I do not understand the comments against the blue finish, all wedges were available in any finish. It was marketing, given their iconic colour scheme, but if you don’t like blue, don’t buy them. With all due respect to Mizuno and Vokey, I introduced the concept of a higher CG in wedges over 15 years ago with my EIDOLON designs. I then evolved that to loft-specific CG location with the renowned SCOR wedges and even further with the TK wedges from Ben Hogan. I was flattered, but not surprised when Fourteen raised the CG in their wedges, then Vokey wedges adopted that idea in 2016, and now Mizuno. Others are sure to follow as it just works better. I love my Ben Hogan TK Wedges, Thanks for your great work. I am aware of your products and really like them. Its a shame that major brands simply wait to see how the consumer views the market and then come out with a similar product and appear as the innovators. 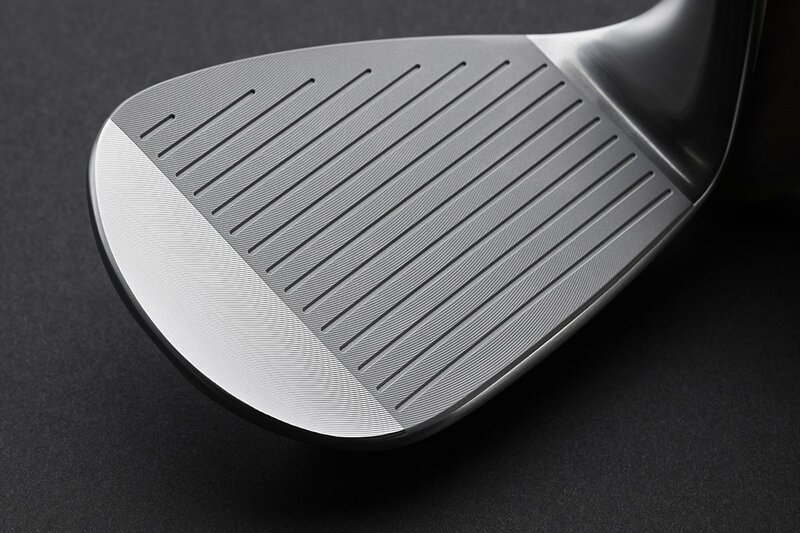 Hi Terry, I’m sure you can answer my question … I’ve noticed wedegs with little bit of game improvement built in (the new Cleveland wedges for example), with the Mizuno wedges it’s just a bit more than a notch, but does this affect the CG when you open up the face, or is the difference imperceptable for gaming conditions? Very interesting. Did you also have something to do with the V sole design in the RTX-3 and CBX Cleveland wedges? Terry, I’m looking at these Mizuno wedges to replace my Scor wedges which have been in my bag for years. As a lefty, your Ben Hogans were never offered in left-handed, so I’m forced to look for alternatives. Good luck with your next venture and please keep the southpaws in mind! I have a couple of Mizuno wedges. Recently I told a friend where to pick up a nice new set of Mizuno irons, he loves them. The new irons/wedges look nice, I never could stand the blue clubs though and blue is my golf color, bag, club covers, etc. I hope the blue is gone for good. 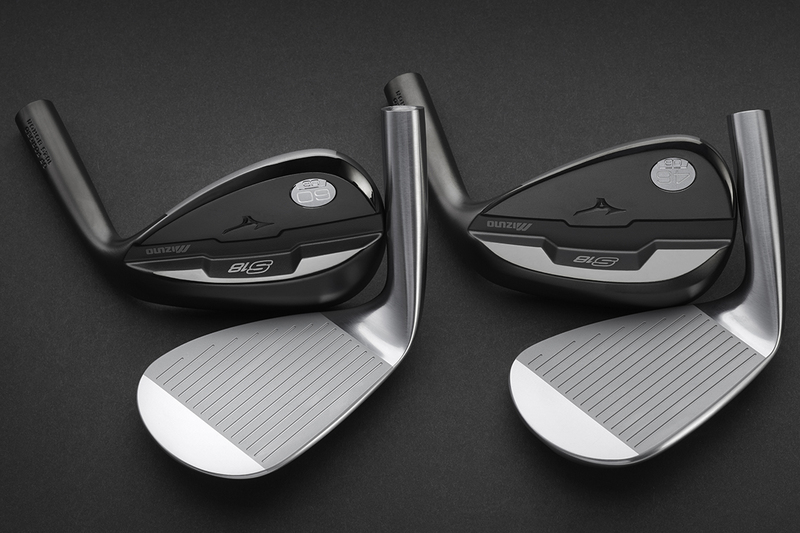 I’ve never tried a Mizuno wedge however now might be time to check em out as these look like they could benefit my game. Great looking wedge with forgiveness, heck put me in coach! Depending on the release. Maybe I’ll have a couple of these in hand when I visit next month. I like the tech. and the looks of the S18s. A very pleasing look and should be a great wedge for mid handicappers. Mizzen makes great clubs and these should fit right in. 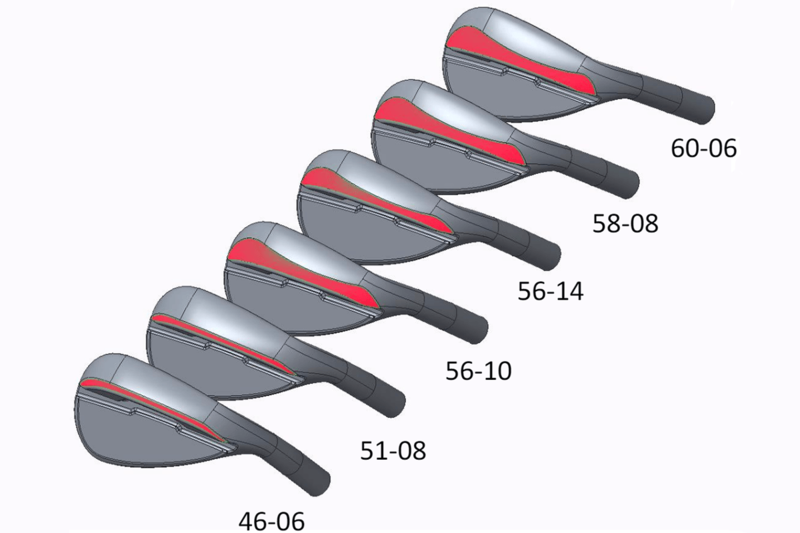 Could see these being a good option for a lob wedge…something 58* and higher because of the more forgiving design/ability to play a wide range of shots by manipulating the club face. I’ve been playing a 50* MPT4, a 55* SM Vokey, and 60* SM Vokey (both illegal grooves) for the last 4 years and am due for some new wedges. I have been looking at the new Clevelands and their attractive price. Thinking about going with a 50/54/58 combo this time, but time will tell. I look forward to the wedge testing coming up for a little more insight. I’m glad Mizuno moved away from the blue-ion wedges…I just couldn’t get behind that look. To me, they looked like toys. I love MIzuno wedges, have been gaming various models for the last 6 years. I’m excited to see the numbers on these babies!! My old Scratch wedges have served well but it’s time for retirement. I’ve looked at several brands with interest but I will now wait to see these Mizunos in person. They look different enough to intrigue me and I’d like to finally have this venerable OEM in my bag. Not bad. Mizuno always makes good stuff. Hard to miss when you have such a rich history and tradition in making forged clubs for discerning golfers. Mizuno makes game improvement wedges? As a “tweener” will we see a “MP” wedge? A T or MP model? With the thin lines? One can dream. The S 5’s were way to big these S-18’s prob to big for me ..is there a T-18 coming out ? These wedges look pretty awesome. I am definitely in the market for new wedges and will be looking into these. I’m liking rhis wedge – and will probably buy one to try!